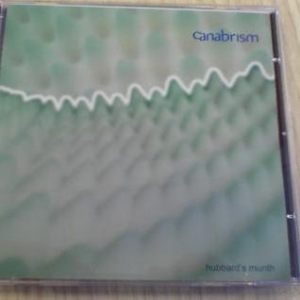 Canabrism produces at least one album per year, and this is a good place to come if you want to hear them. 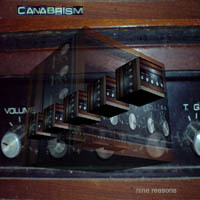 Download for free in mp3 format, or contact Canabrism at podcomplex.com if you would like a real physical CD version! 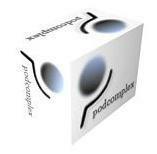 Why not try some Podulous Attire by browsing the wonders of the Podcomplex T-Shirt Constructorium? 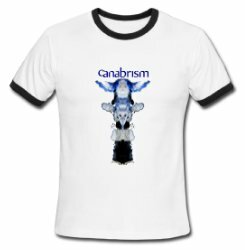 The garments here are unique designs inspired by scraping years of congealed sweat from a variety of mixing desks and guitar necks - guaranteed to set you apart from the herd or flock. Podcomplex wades into the murky waters of video production from time to time, and you can see a couple of examples below. This is a promotional video for the Irish charity Camara, which was created from footage shot in Africa by volunteers in 2006. 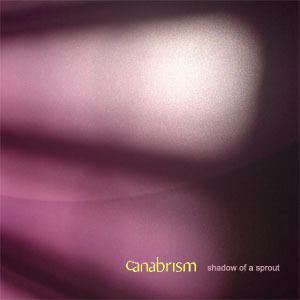 This video for the as yet unreleased track "My Toes Are Nebulae" first appeared on the Canabrism DVD sampler in 2005. It was created using a combination of 2D and 3D animation, and notionally traces the journey of a drug-addled pimp through the streets of central London. This is a live recording of Murder Plan from Le Cirk, Dame Street, Dublin. The performance took place on 16th October, 2009. Murder Plan's debut EP was produced in Podcomplex's Nantiploop Studios in 2008/2009.